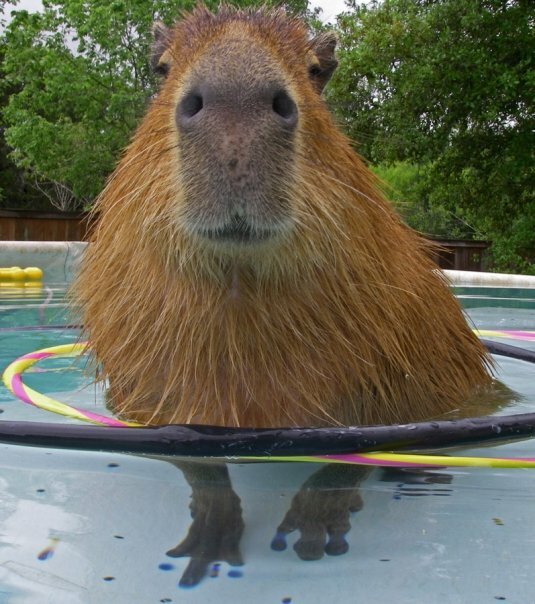 My name is Simon and I love capybaras. 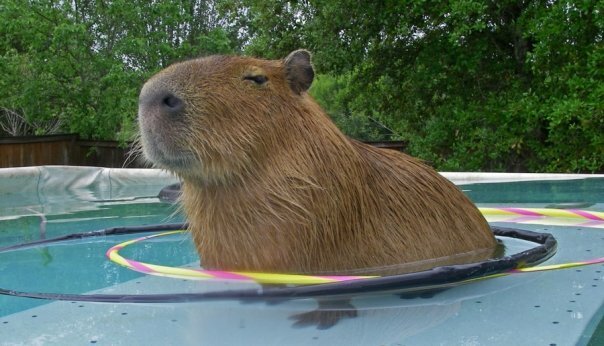 I would really love to have capybara as a pet but I can´t, because I live in a block of flats. 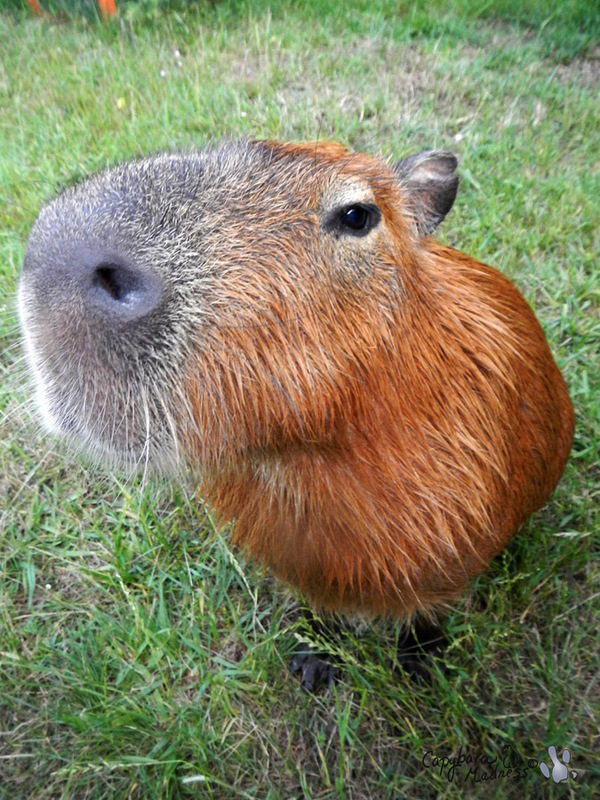 But I am currently employed in ZOO Ljubljana (Slovenia (Europe)) and somehow my dream fulfilled in a way. 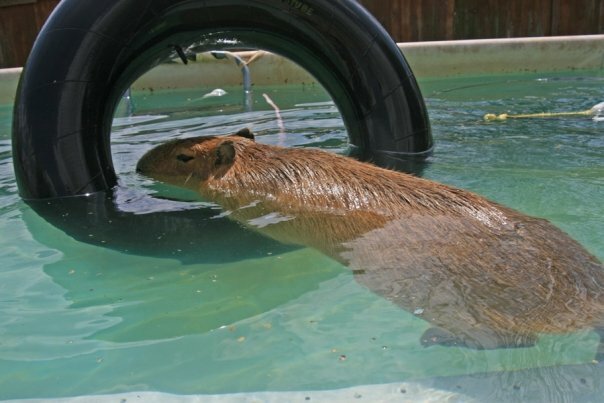 There is one very special being, called Stinky. I love Stinky so much that I am with him every and each day. 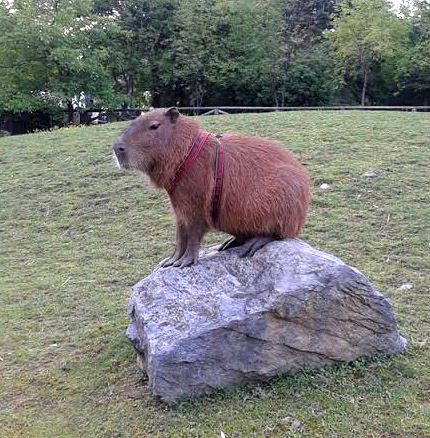 It´s not my capybara, it´s ZOO ljubljana capybara but he is mine in my heart. 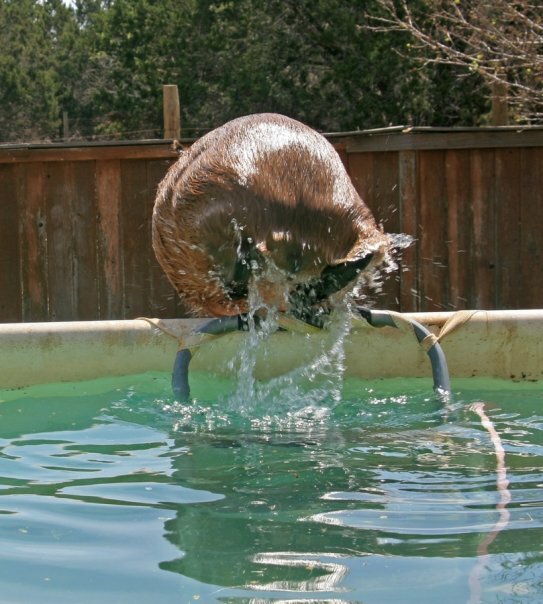 And if I tell you that we train agility, I´m sure you sure won´t believe me. We train approximately 1,6 year (in my free time) I started training him when he was basically adult animal (not juvenile). 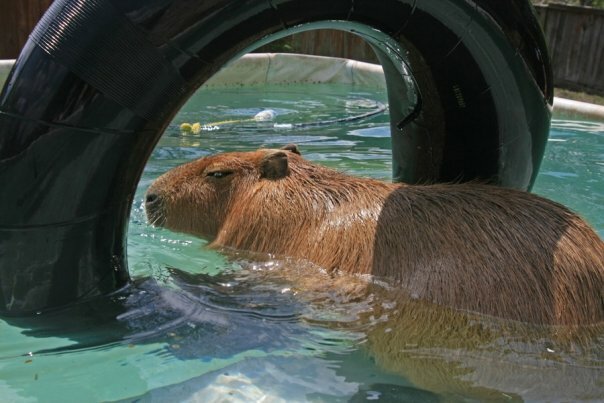 I couldn’t publish anything earlier because he is not my capybara. 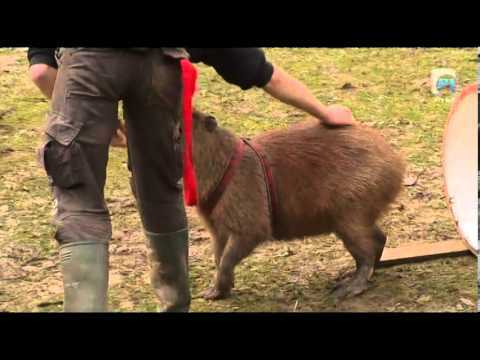 The part with Stinky starts at 15:28. I really hope you will enjoy the video. In my next blog post, I am going to answer questions from my fans. If you have a question you would like me to answer, put it in a comment on this post. 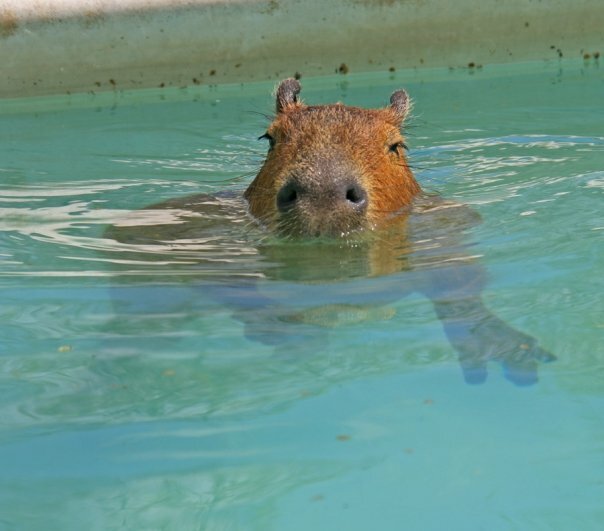 The question has to be about me or about capybaras in general. I’m not going to answer questions about quantum physics or the meaning of life. Let’s be clear, I could answer those questions but I don’t want to. That’s it for now. Except you might want to know that the Henry Vilas Zoo just got a pair of capybaras! 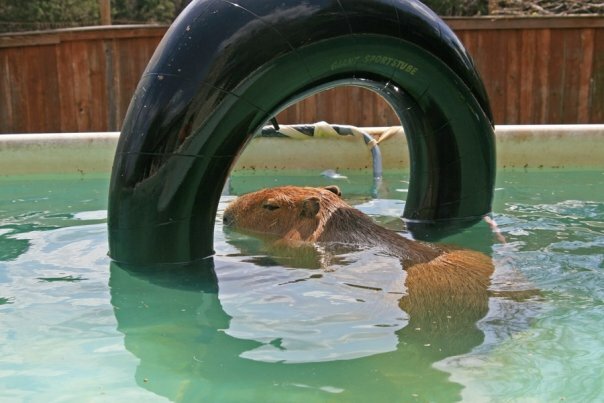 So if your question was going to be, “Where can I see capybaras in Madison, Wisconsin?” I have already answered that. Answers to questions posed in comments to this post can be found in the FAQ. Look for the tab at the top of the page. I was out in California last week to visit my sister and I couldn’t pass up the chance to visit the world famous San Diego Zoo. 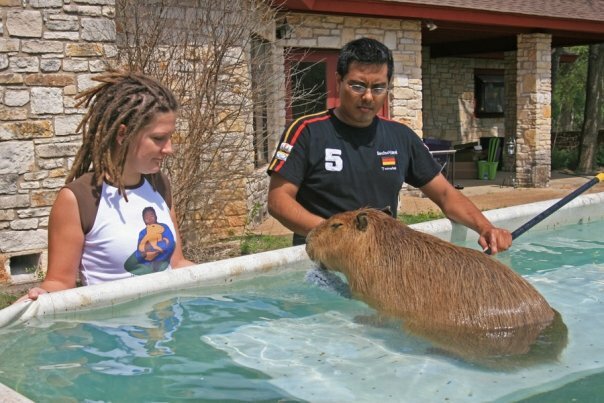 Last time I was there, about five years ago, they did not have capybaras but I knew that they had a band of them now and I couldn’t wait to see them. 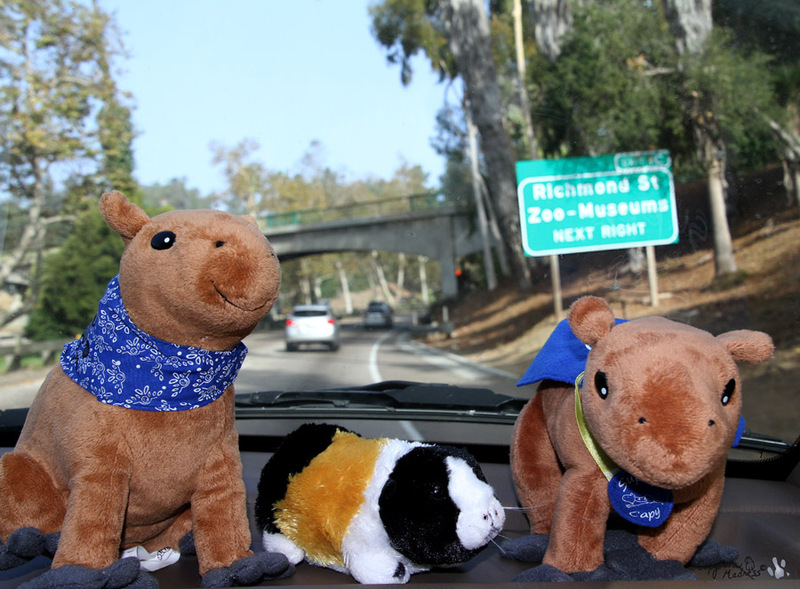 Of course, I brought my two plush capybaras, Capycoppy (left) and Super Capy (right) with me. 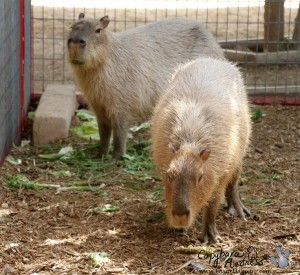 I also brought Double Decoy, the guinea pig in the middle. There’s nothing like going around taking photos of plush animals in a crowded area to make you feel crazy. 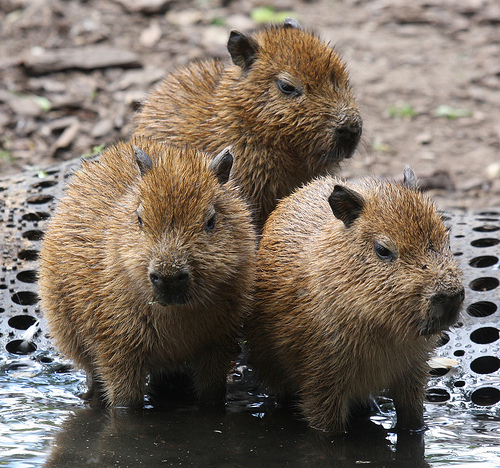 If you are in the UK you must go see these three adorable capybara babies as the Chessington Zoo! And follow this link for more adorable photos on ZooBorns.com.